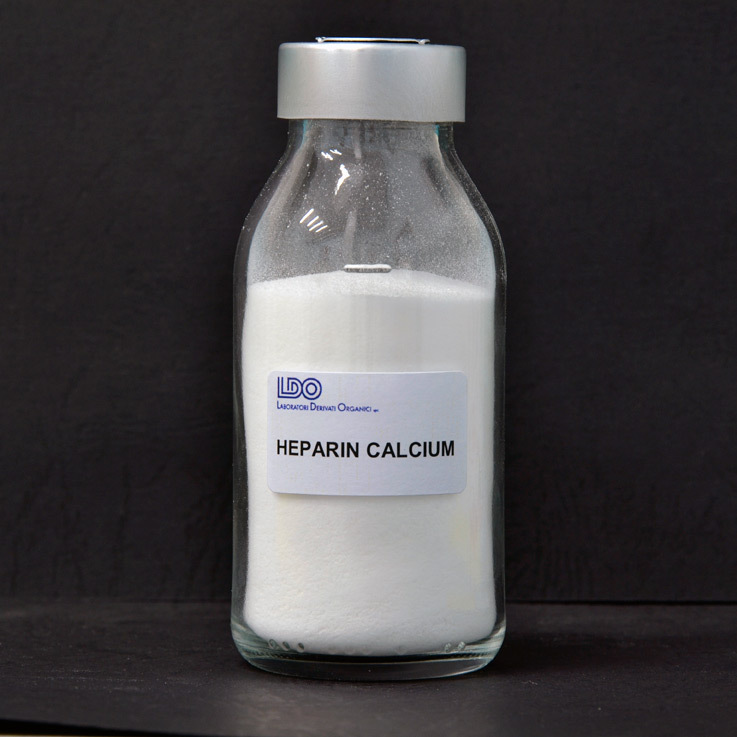 Heparin is formed by a heterogeneous group of straight-chain anionic mucopolysaccharides called glycosaminoglycans. It can be described as a glycosaminoglycan sulfate. Heparin delays the coagulation of fresh blood. Heparin is indicated in the treatment of venous thromboses and its complications, in the prophylaxis and treatment of pulmonary embolism, in the treatment of thrombi during atrial fibrillation, for the diagnosis and treatment of acute and chronic coagulopathies (e.g. disseminated intravascular coagulation). Moreover, heparin is used to prevent the activation of coagulation during hemodialysis or other extracorporeal circulatory procedures (e.g. open heart surgery).